Our approach to making exceptional wine begins with an understanding of place. We believe great wines speak clearly about the people and places that produce them. We farm organically and minimize intervention, aiming to capture a vineyard’s natural ecosystem in a bottle. That means dry farming, where natural rainfall replaces conventional irrigation. This method conserves water while producing small but intensely flavorful grapes. 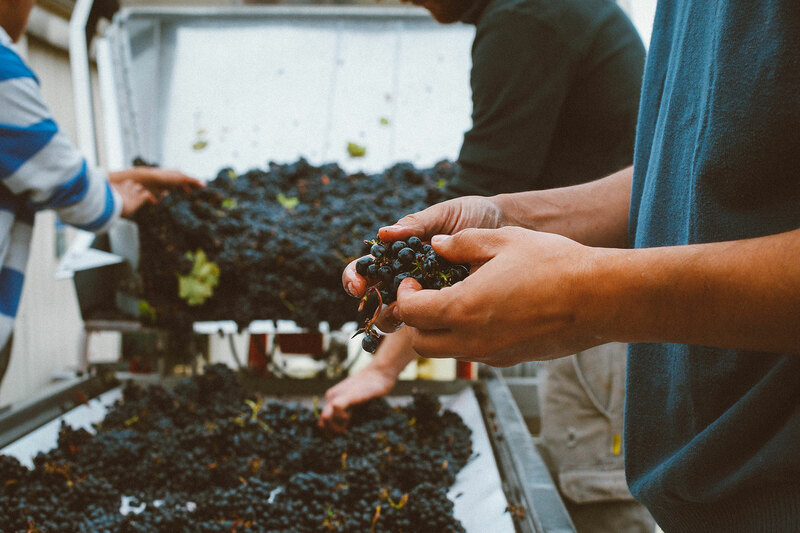 During fermentation, we rely on the vineyard’s native wild yeasts to transform the grapes into wine. No pesticides, no additives, no synthetic ingredients. With just a little coaxing from our winemaking team, Mother Nature creates the flavors, textures, and aromas we seek in a great wine.